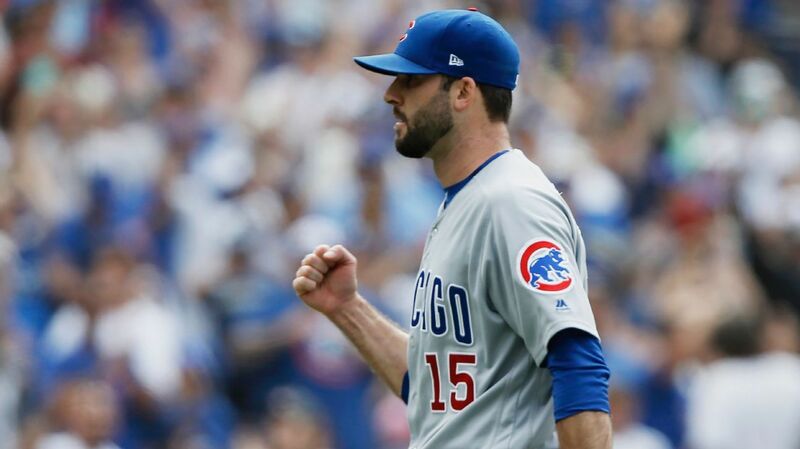 MESA — Chicago Cubs closer Brandon Morrow confirmed he’ll miss the beginning of the season after undergoing minor elbow surgery in November. The oft-injured Morrow missed the final three months of 2018. Morrow intends to throw from 90 feet this week and then slowly advance to longer distances before getting back on the mound. Despite still feeling some pain at the end of last season, MRI’s showed no damage to his elbow. That led to a more intrusive CT scan which did find an issue. Surgery followed. “Missing just the first month this year will be better than missing the last three months last year,” Morrow said. The reliever dismissed any notion that Joe Maddon pitched him too much, leading to the injury, though the team intimated at the time that throwing three games in a row in June led to his downfall. Pedro Strop received many of the save opportunities in Morrow’s absence last year, and the Cubs added veteran reliever Brad Brach this past off season.